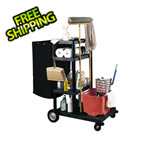 This 42" 3-Shelf Janitorial Cart is an ideal addition for hotels, schools, medical centers and garages worldwide. 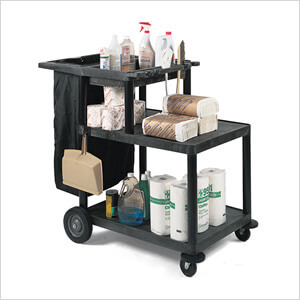 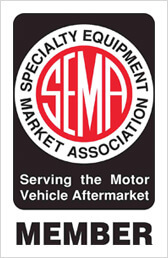 Unlike older squeaky steel carts, this cart is constructed with a lightweight polyethylene resin that navigates easily. 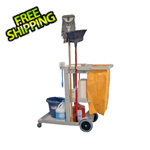 It includes a full-size nylon bag to hold disposable trash bags, and three open shelves for cleaning supplies.